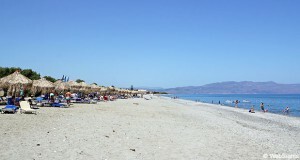 Platanias is located in the north-western part of Crete, approx. 8-9 km west of the larger town of Chania. 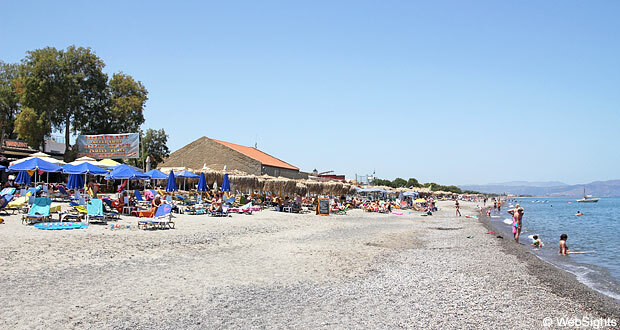 Platanias has a lovely sand beach, which covers the entire coastline of the holiday resort. In some places, the sand is mixed with pebbles, typically along the waterline. The water is clear, but it deepens rather abruptly. The beach has all facilities, including sun lounges, sunshades, showers and toilets. You can park in the streets behind the beach, but it is not always easy to find a parking space. 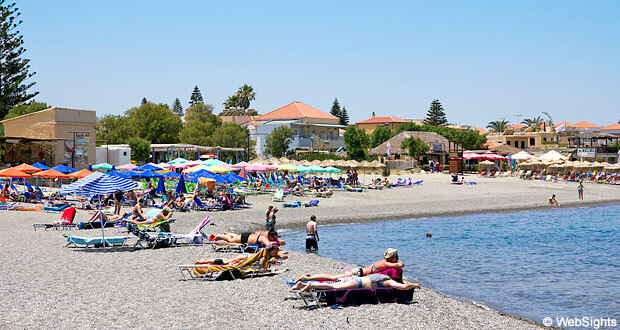 If you follow the beach towards the west, you will reach Agia Marina, whereas a trip towards the east will lead to the smaller holiday resort Gerani. The water deepens rather abruptly and there are pebbles in several places along the waterline. Plenty of room to play in the sand. 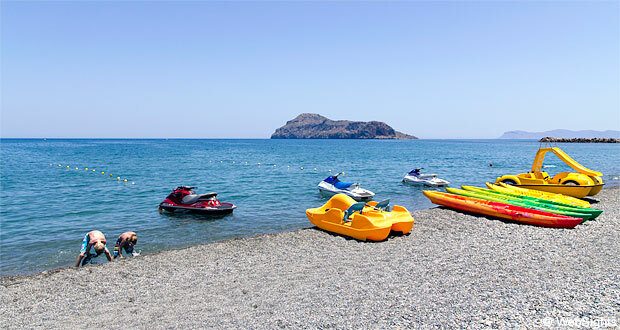 Large variety of water sports activities, including jet skis, sea kayaks and water bikes. There are many restaurants, cafés and bars along beach. Supermarkets and other shops are found on the main street 200 m from the beach. 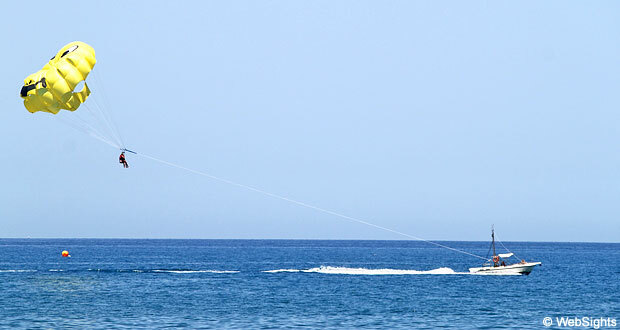 Platanias is the second largest holiday resort on what is often known as the Chania coast. This coastline is among the most popular holiday resorts in Crete. 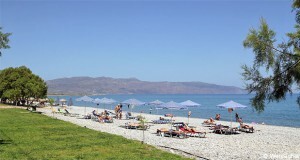 Platanias has many fine hotels and many of them are located right next to the beach. There is also a wide selection of restaurants, cafés, bars, shops and supermarkets in the town. However, shopping is even better in Chania, which is located 8-9 km to the west. There are buses all day.